Good Morning, Papa and Mama at 6:30’was not what we expected on the last full day in Sunset Lakes. But who cares the sun was shining and we had some fun things ahead of us. After playing and eating we left towards Disney Springs, but not before we got our shot of Starbucks! 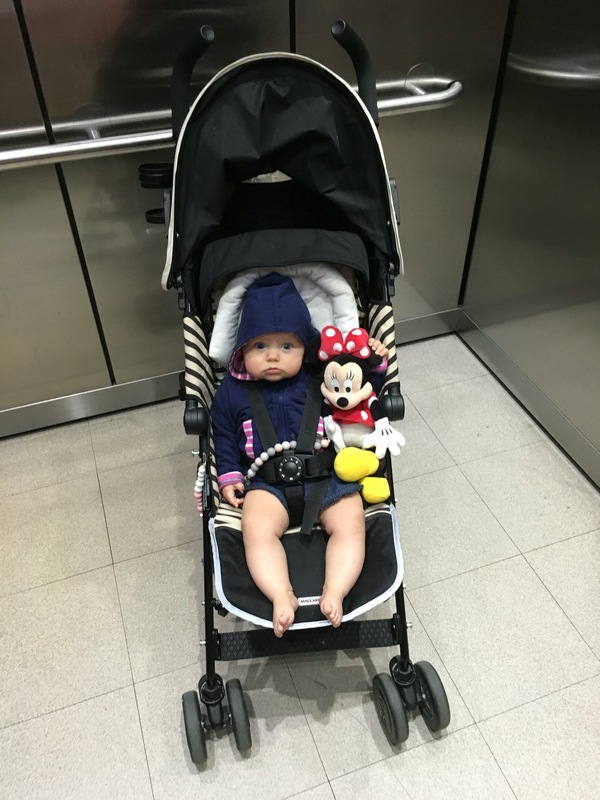 At 10:00am (opening time) of Disney Springs (outdoor Disney mall) Mama parked the car. Emily woke up immediately and we wandered through some shops. But nothing which could really interest us. 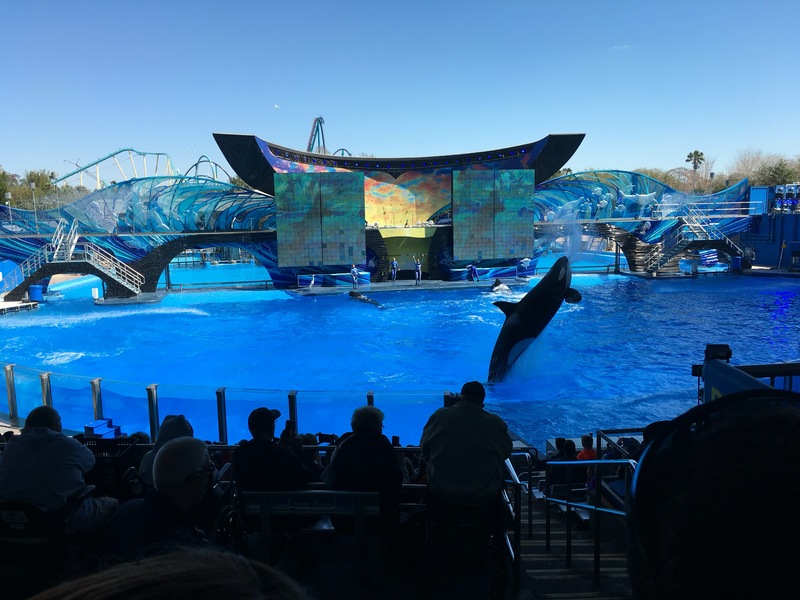 Next stop SeaWorld, we still had a child swap pass for Manta and wanted to watch the One Ocean show, a show with Killer Whales. At 11:00 we parked our car almost in front of the entrance. First stop a bench near Shamu Stadium for Emily her fruit. And 30 minutes before the show started we entered the stadium and found some perfect spots, a little bit behind the splash zone. I guess you understand that the park was everything but crowded. 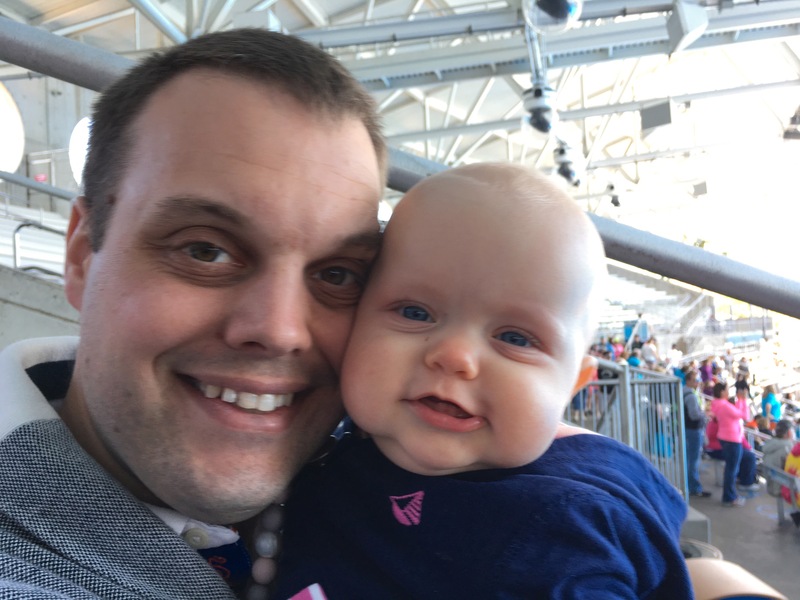 Emily had a lot of fun watching and interacting with the people around us. This shows is still really spectacular but not as special as we remembered from a couple years ago. Emily thought is was boring as she slept in half way in the show. After the show was done I wanted to take a look at the Antartica area where a new ride was build a couple years ago. 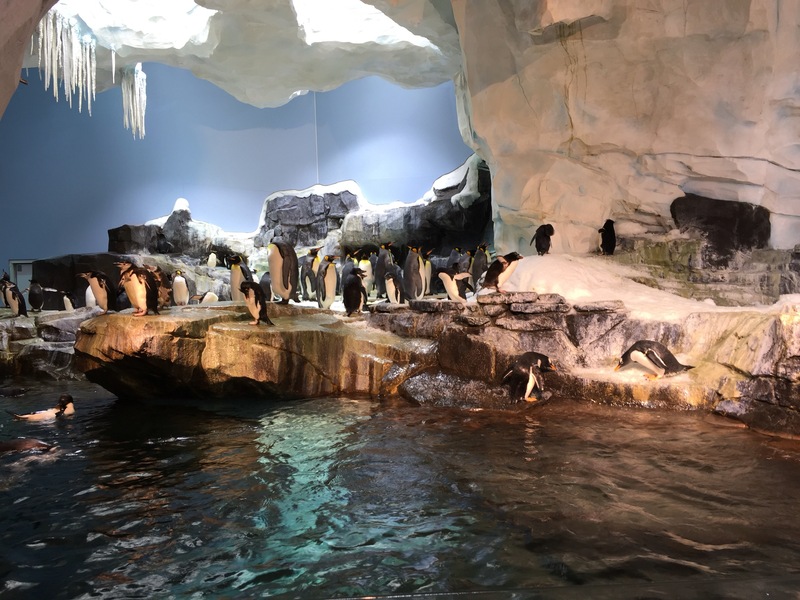 The ride Antartica: Empire of the Penguin. 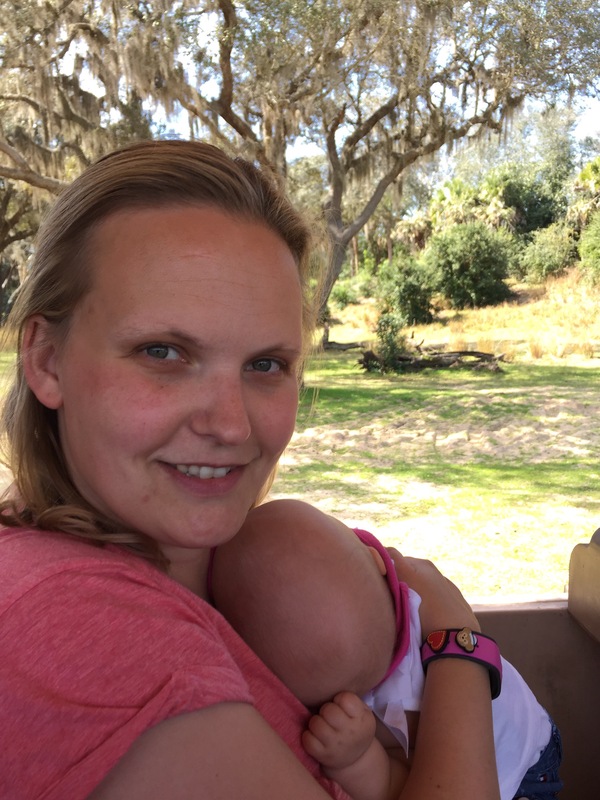 First it started with the choice between Wild and Mild, we then learned that Emily wasn’t allowed in the ride and we needed to do a Child Swap. So we had out hopes up high and thought this would be a spectacular ride but it’s not. 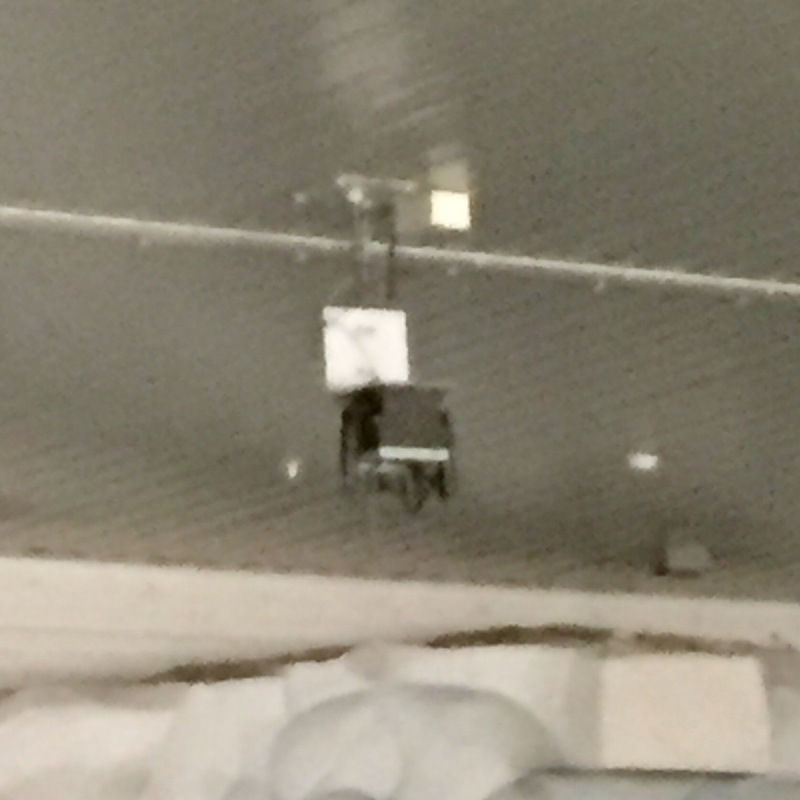 The coolest thing I saw where the 3 SCALANCE W788 on the ceiling… The child swap was ridiculous because they told us to wait in a cold area (just above zero) with Emily and we should swap there… At the end I felt really sorry for Emily because the Wild ride is milder as sitting in a car seat while driving through Toronto. But at least we brought a nice warm blanket. The second coolest thing was the exhibit at the end, and there it was -1 Celcius. 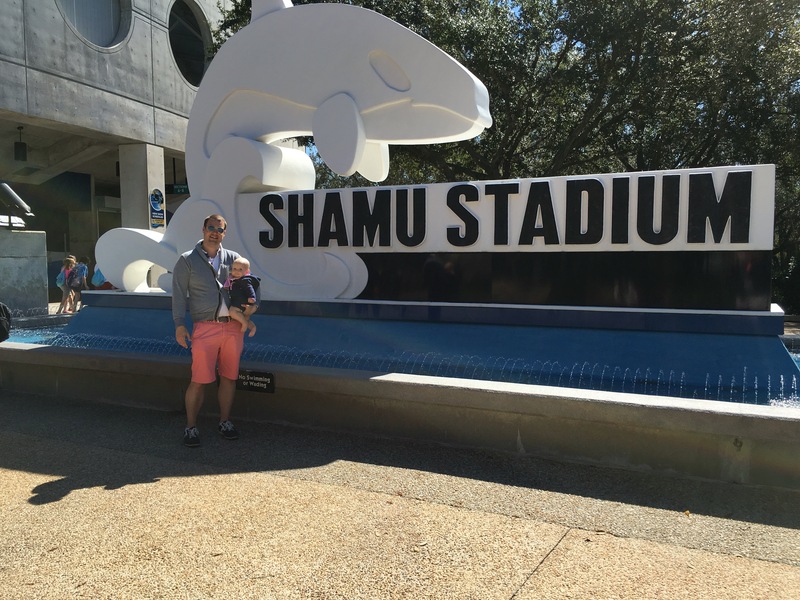 After this somewhat disappointing experience we went to the Manta so Mama could ride it. And she was so smart to get another Child Swap card while exiting so I could take another dive before we left the park. 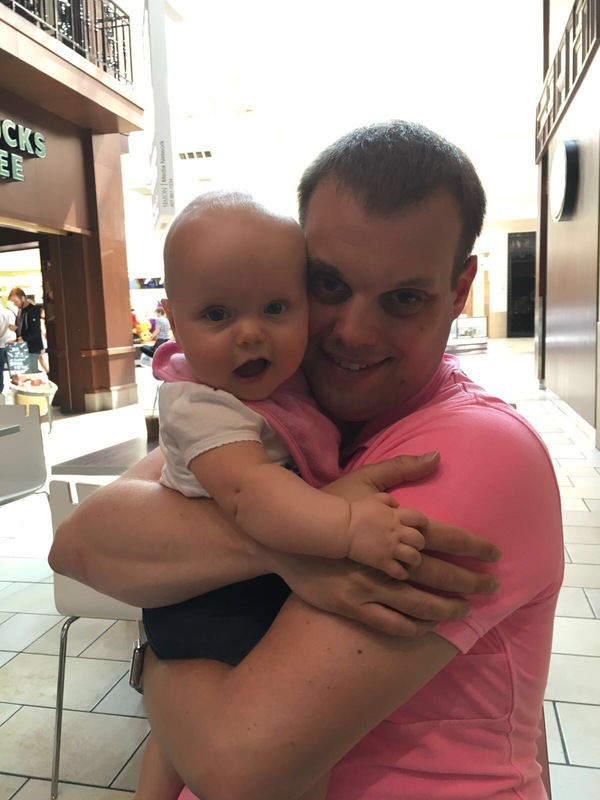 We went to the International Premium Outlets to get a new carry-on suitcase for Emily her books, she got 9 books with bed time stories and others and we need to get them home. And since we needed a new carry-on this was the easiest thing to do. This morning we woke up early because we were on a mission. 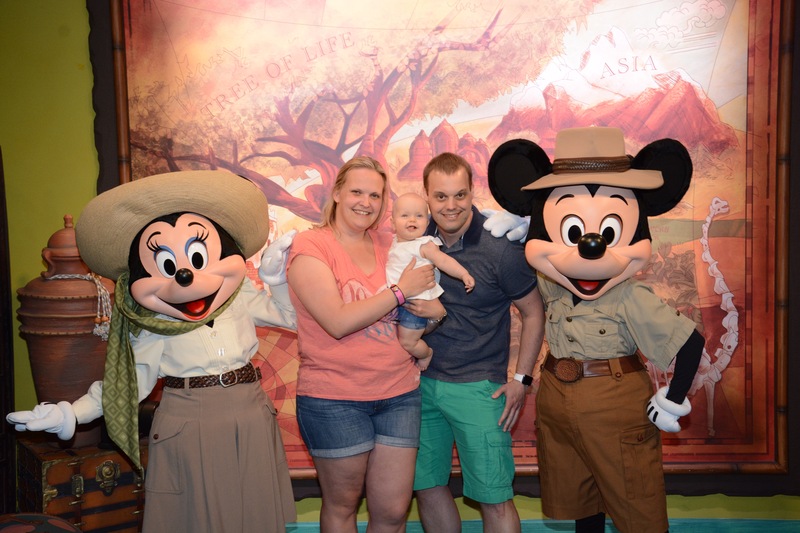 We wanted to visit Animal Kingdom for the second time this vacation and we had FasPasses for Finding Nemo, a meeting with Mickey and Minnie and the Kilimanjaro Safaris. But we also wanted to hunt some characters because Emily liked meeting the people and animals from her storybooks. We left the villa at 8:50, parked at 9:15 and very close to the entrance of the park. Emily and I went on our first mission of the day coffee for Mama & Papa and an Apple Juice for Emily. Mama her first mission was the bag check. The bag check was very thorough this time because by the time we got our drinks (this took 10-15 minutes) Mama wasn’t even there yet. 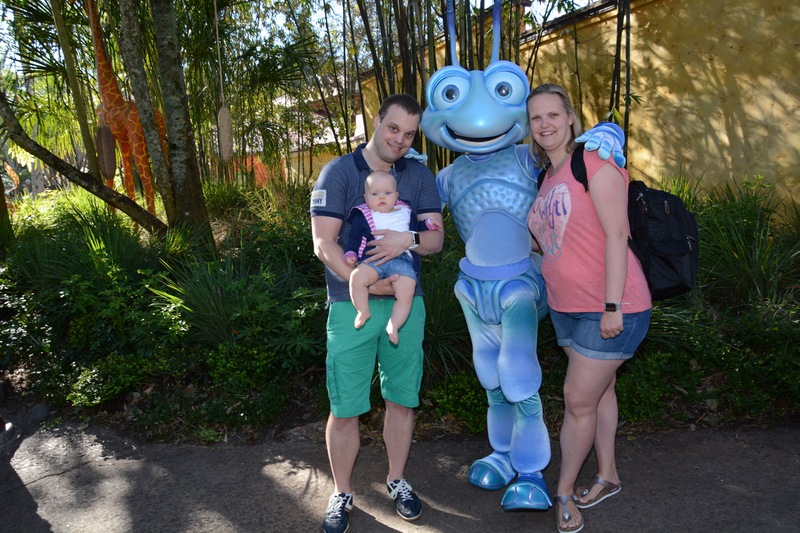 And so we decided to wait for a picture with Flik, the ant from the movie It’s a bugs life. By the time we were almost in front of the line Mama joined us. 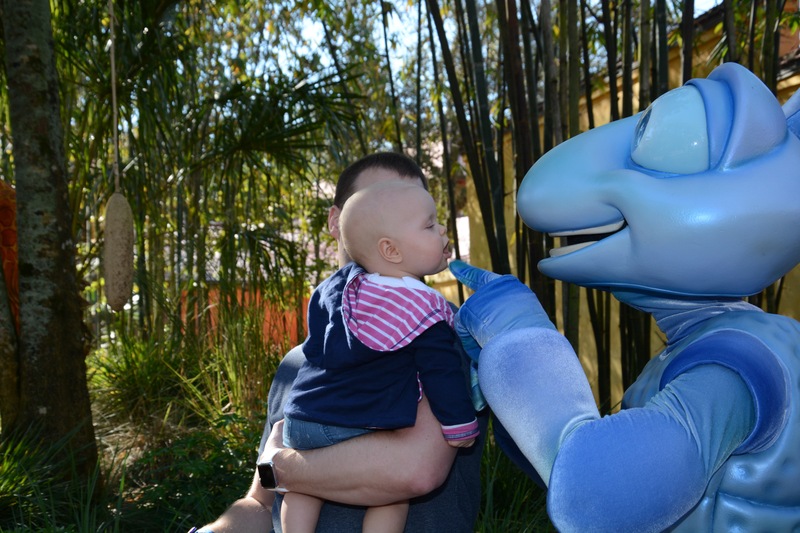 Emily was impressed by Flik and this was the first time she was a little bit unhappy near a character but Flik found a way to cheer her up by touching her nose. 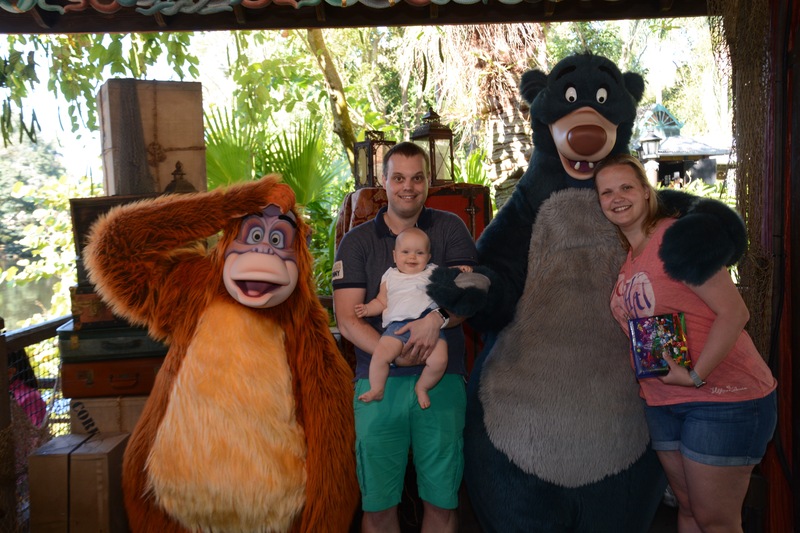 After Flik we went to the next 2 Disney animals of the day Baloo and King Louie. 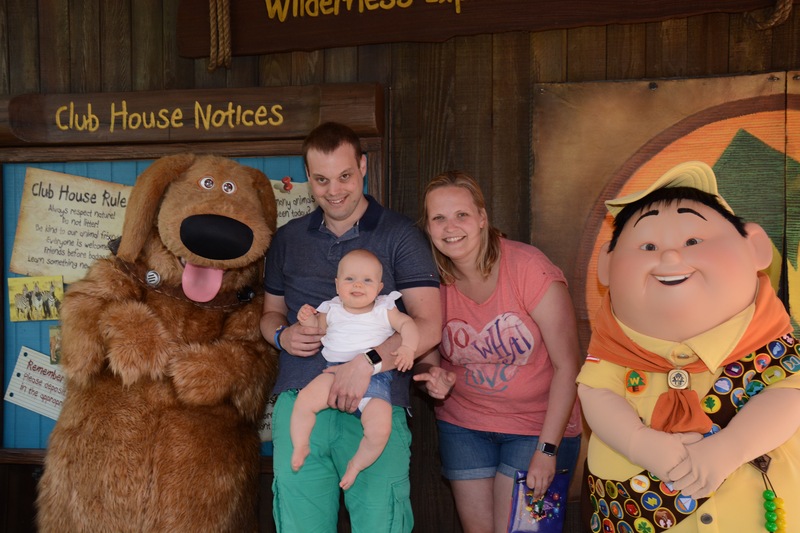 When they arrived at the photo point Baloo immediately came towards Emily and she had an instant smile on her face up till the moment we left them behind. Normally Emily would take a nap now but there was no possible way to get her to sleep and we decided to look for more characters. 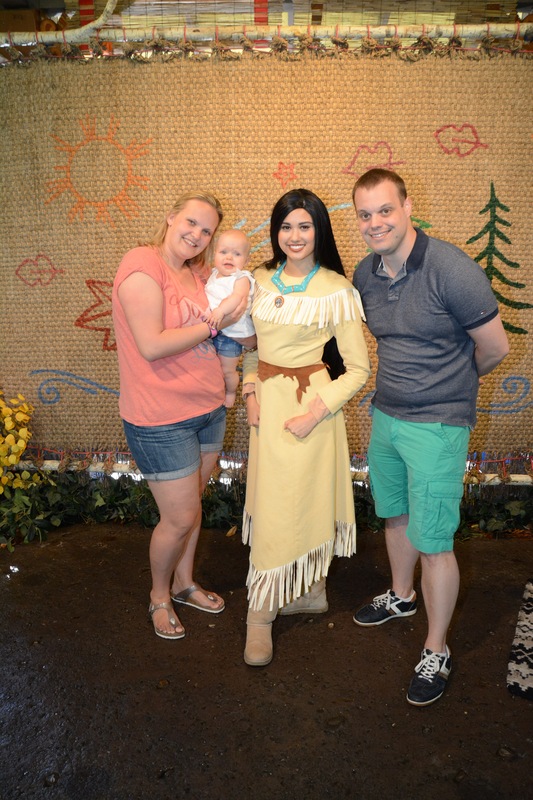 We found Pocahontas hidden in the jungle. 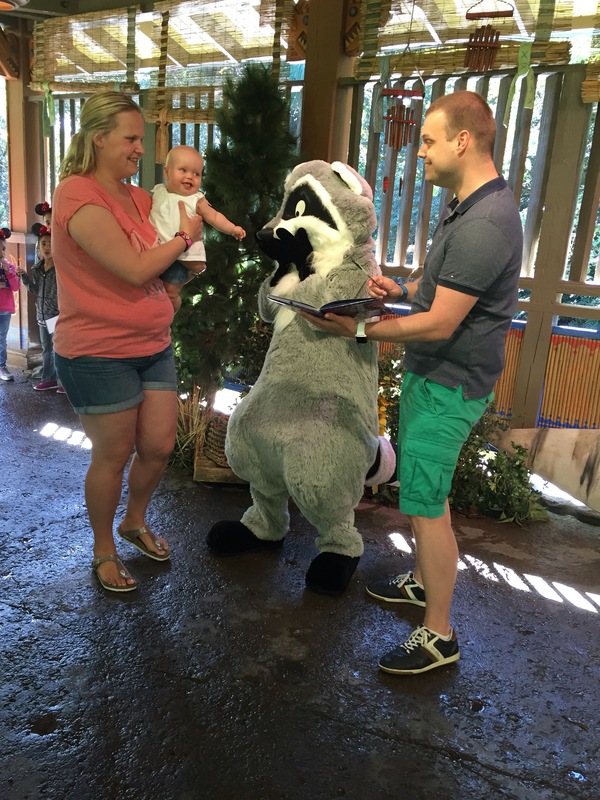 While we waited for our meeting Meeko, the friendly raccoon, appeared and we got a photo with him too. Unfortunately there was no PhotoPass photographer joining Meeko so we used our iPhone for that one. I know we have a nice camera but there are so many photographers around the parks, we have the photo downloads included in our annual passes and that makes carrying our own camera for maybe 2 pictures a little bit to much to carry around. After this photo moment we decided to walk to Finding Nemo and join the 11 o’clock show instead of the one we had our Fastpasses for. 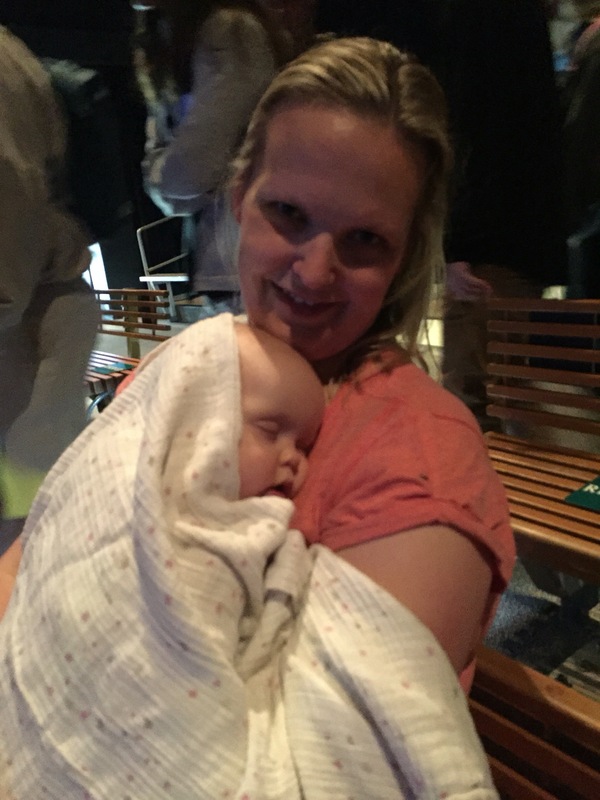 While waiting in line Emily fell asleep on her mothers shoulder. 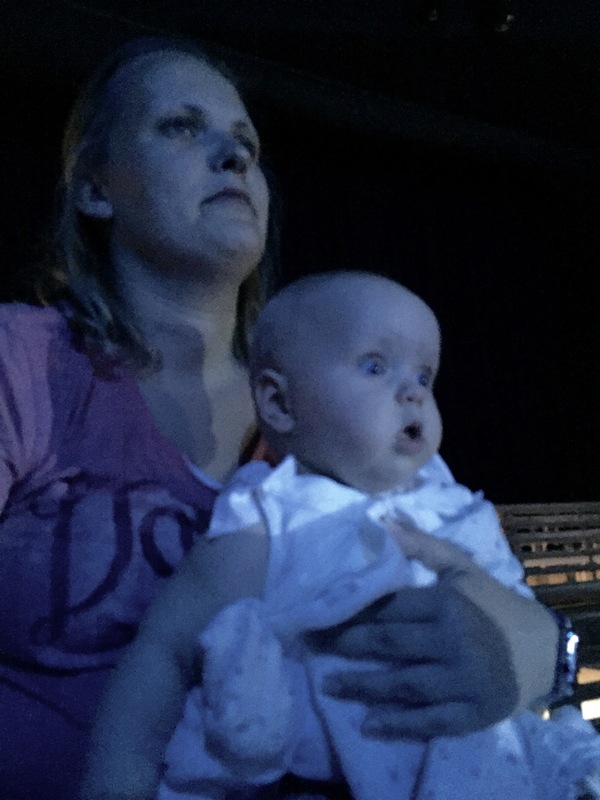 As soon as the show started she woke up from Marlin’s voice and she couldn’t take her eyes of the characters. Due to the loud music which scared Emily from time to time I left half way the show and walked through the park. Because the musical was almost over we saw that the line for pictures with Russell en Dug was really short. We waited in line and soon Mama joined us. Emily loved Dug, he had a really big nose which probably was the trigger. Also the photographer knew how to catch her attention and the picture turned out really nice. After we said bye to them it was time for a picture with Mickey and Minnie Mouse. They just came back from a Safari and didn’t even took the time to change clothes. But Emily didn’t bother about that, she had problems choosing which nose to honk first. 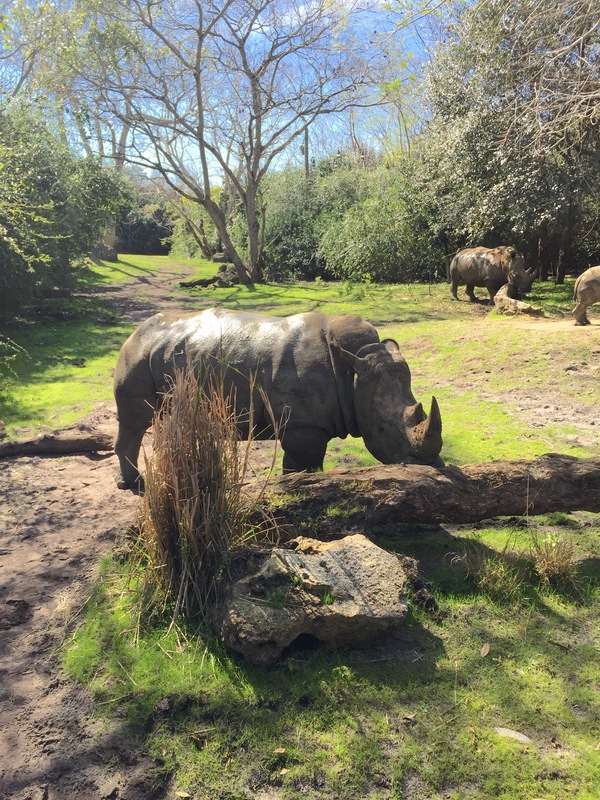 Now it was time for our Kilimanjaro Safari. We walked over there and off course you can’t take a stroller with you in the safari jeep so Mama carried Emily the whole ride. Within a minute Emily fell a sleep (I think mama has a really comfortable shoulder) and slept until we put her back in her stroller. 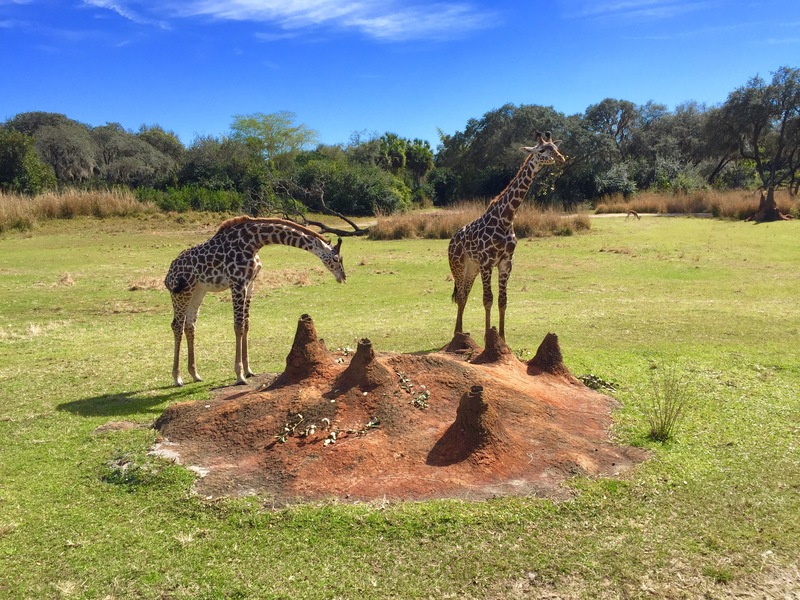 On all our previous Kilimanjaro Safaris we had seen a couple Animals and most of the time a bit further away but this time while we didn’t bring our camera there were Giraffes, Rhinos, Okapi’s, Lions, Cheetahs, Hippopotamus and more. We didn’t know where to look but Emily didn’t see anything of it I hope she was dreaming about something really nice. After the safari we went to the Starbucks for an ice tea and planned on going home. 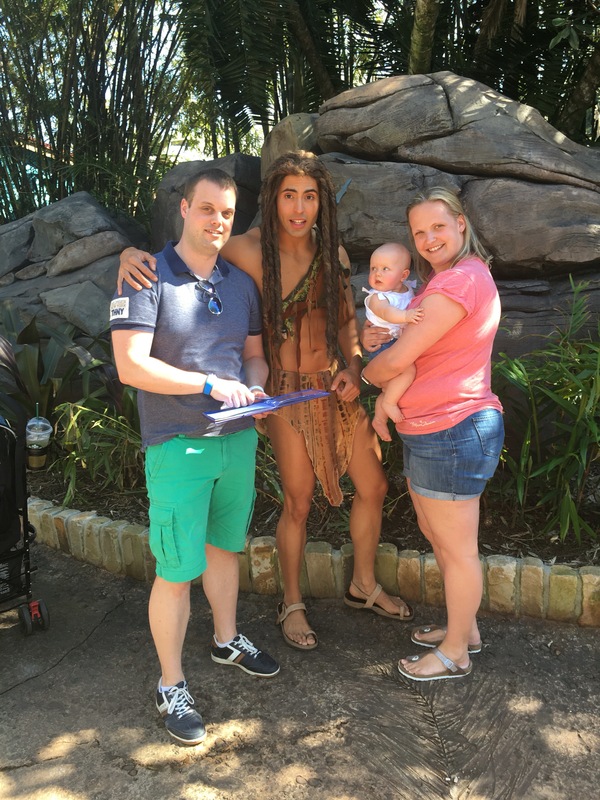 Until we saw Tarzan, we went for a photo with Tarzan because last time we didn’t ask for his autograph. After the picture we left the park while with 10 characters I’d say mission is completed! On our way back we went to a Publix along the US192 to get some meat for the barbecue new fruit and vegetable mixes for Emily and some beer. At home Emily got her bottle and went to bed while I prepared an early dinner. 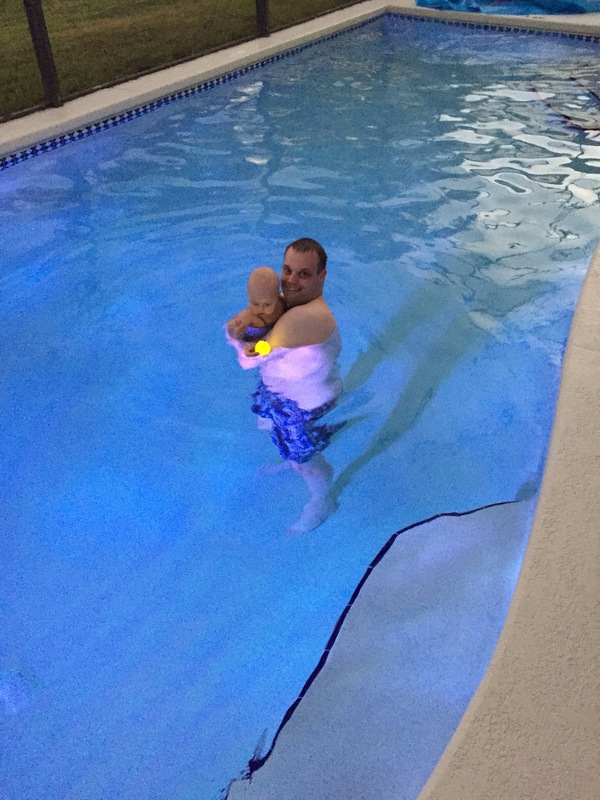 After Emily woke up we decided to go swimming together and she absolutely loved it, soon it became dark enough to have the pool lights on. After the swimming was done Emily went to bed and we had the whole evening for ourselves.